We believe that children need and deserve respect. They are valuable. They are capable. They thrive in beautiful environments that cater to their unique needs. That’s why we take the Reggio-Emilia approach to child care. By promoting and encouraging our children’s abilities and emotions, we ensure that they grow, learn, and belong. In recent years, an obsession with standardized testing has forced many daycares to drill toddlers on numbers and letters and assign daily worksheets to preschoolers. These unrealistic expectations for young children are damaging to their mental, physical, and emotional health. In addition, studies have shown that infants, toddlers, and preschoolers learn best by playing, not by filling out worksheets. This learning is based on “Project Construct” and theorizes that children develop and gain knowledge through physical and social interaction. Playing with classmates, making day-to-day choices, and using their imagination are all critical during these years. 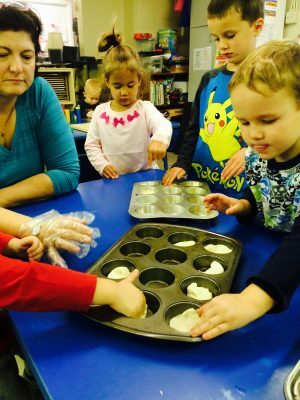 Activities with purpose: In addition to free and open play, our teachers guide children through activities that promote creativity, problem solving, and developing fine motor skills. Educational materials: Our child care center is full of books, games, and other materials that teach children about shapes and colors, numbers and letters, plants and animals, and more. Socialization: Daycare is a great opportunity for children to make friends and learn teamwork, conflict resolution, and sharing. The modern world has made screens—from televisions to computers to phones—a part of our daily life. While other low-cost daycares may stick kids in front of the television all day, we understand that fewer screens lead to a better childhood. The formative years between birth and six rely on interaction with the real world. That’s why OECC insists on providing children with quality, real world experiences and limited exposure to screens. 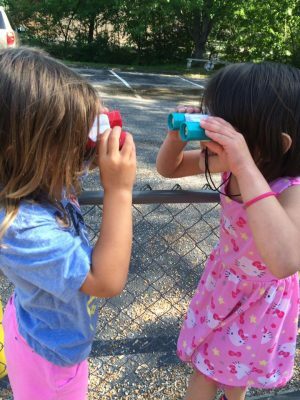 Whether they’re inside or in our outdoor classroom, your child will have the chance to play and learn in a safe, stimulating, and calm environment.